The Mobile Command Post still provides a large work area desk but the overall unit is more compacted, measuring a mere 24-9/16” in length, 19-5/16” in width and 11-15/16” deep. The Mobile Command Post provides a mobile work area and is ideal for larger departments as a supplement to dedicated vehicles that serve as a command post. MCP-02 DOES NOT INCLUDE THE COMMANDPAK. DOES NOT INCLUDE COMMAND FLAG. 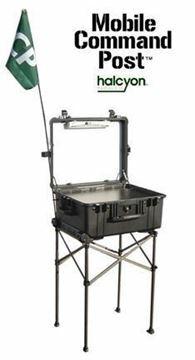 The Mobile Command Post provides a large work area desk but the overall unit is more compacted, measuring a mere 24-9/16” in length, 19-5/16” in width and 11-15/16” deep. The Mobile Command Post provides a mobile work area and is ideal for larger departments as a supplement to dedicated vehicles that serve as a command post. It provides an additional option when setting up an incident command center, allowing the user to establish a remote command station at the location of incident. 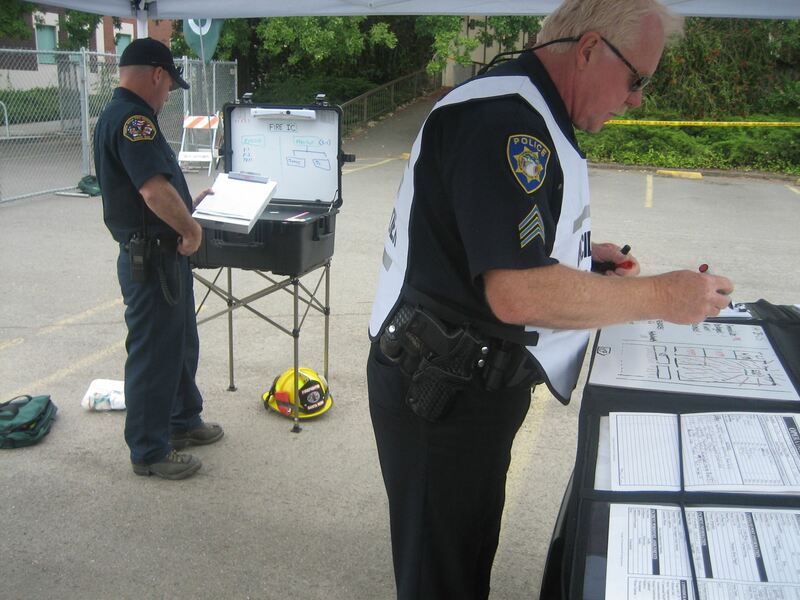 The Mobile Command Post is also ideal for many smaller to medium sized departments that may not have a dedicated command vehicle but utilize smaller vehicles, such as an SUV or Crown Victoria. The Mobile Command Post is highly adaptable to these vehicles and is a cost-effective solution to the issue of an on-scene office. The Mobile Command Post is lightweight, portable, inexpensive, easy to set up, and small enough to fit in most command vehicles. 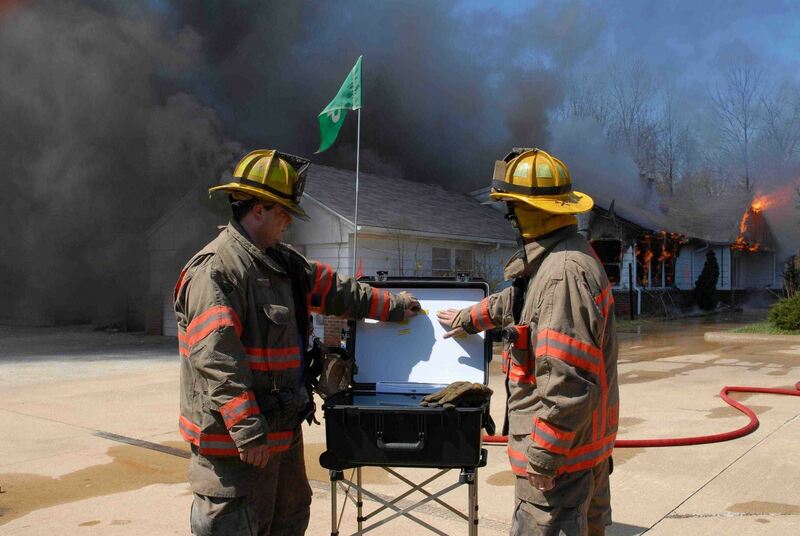 Magnetic Whiteboard for easy diagramming of the situation and for the formation of the ‘attack’ plan. Large desk surface with enough room for a laptop and work papers. Large water-resistant compartment for storing files, communications equipment and other emergency field items. Integrated wheel assembly and retractable handle for superb mobility.Light-weight and compact design. Detachable stand, easy to set-up and tear down. Improved lighting system for low light or night time operations. NOTE: MCP-02 DOES NOT INCLUDE THE COMMANDPAK. DOES NOT INCLUDE COMMAND FLAG. Halcyon Product is also introducing our new CommandPak to accompany the Mobile Command Post. 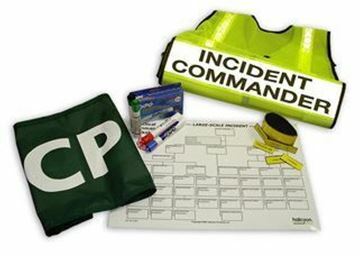 The CommandPak can be ordered separately (CP-01) or as part of a MCP + CP package (MCP-01). 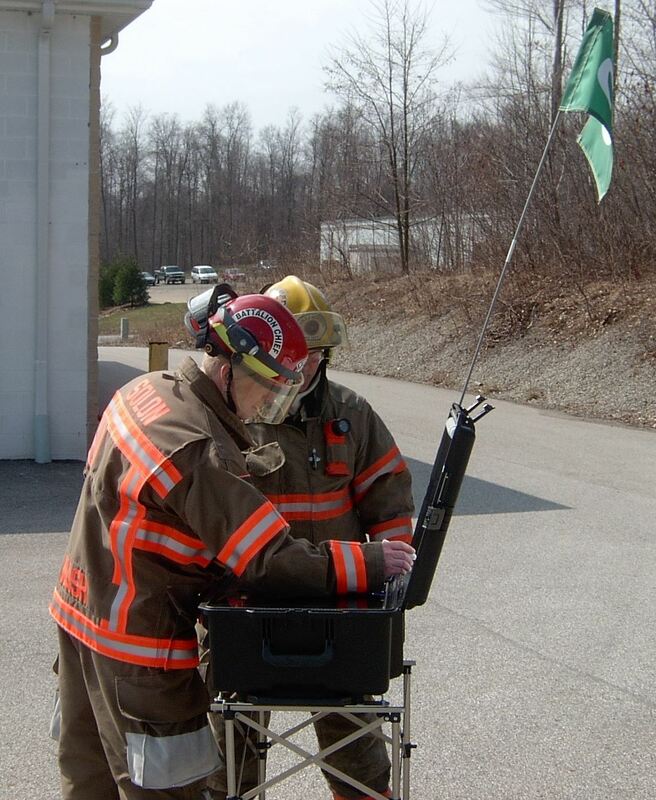 The CommandPak is an ideal addition to the Mobile Command Post. The Mobile Command Post still provides a large work area desk but the overall unit is more compacted, measuring a mere 24-9/16” in length, 19-5/16” in width and 11-15/16” deep. The Mobile Command Post provides a mobile work area and is ideal for larger departments as a supplement to dedicated vehicles that serve as a command post. MCP-01 INCLUDES THE COMMANDPAK. Copyright © 2019 Halcyon Products, Inc. . All rights reserved.